Scheduling students is a 3,000 piece jigsaw puzzle. It may seem that it happens overnight but it really is a lengthy process that takes both counselors and computers to complete. Abby Scanlon, the counselor for the letters Carp-Fa, does this job everyday. Errors can be made and changing student’s schedules during the first few weeks of school is an even harder job. “We have over three thousand students with many courses,” Scanlon said. During the spring, students pick what courses they want for the following year. To students, they’re simply picking classes for their schedule next year. To counselors, this is one of the most stressful parts of the year. Over the summer the counselors work together to put students in the classes that they want to be in. A computer system tells the counselors if there are class conflicts in someone’s schedule. “Some classes are ‘singleton’ classes, which means it’s only offered one period. So the student has to choose what they want to take,” Scanlon commented. 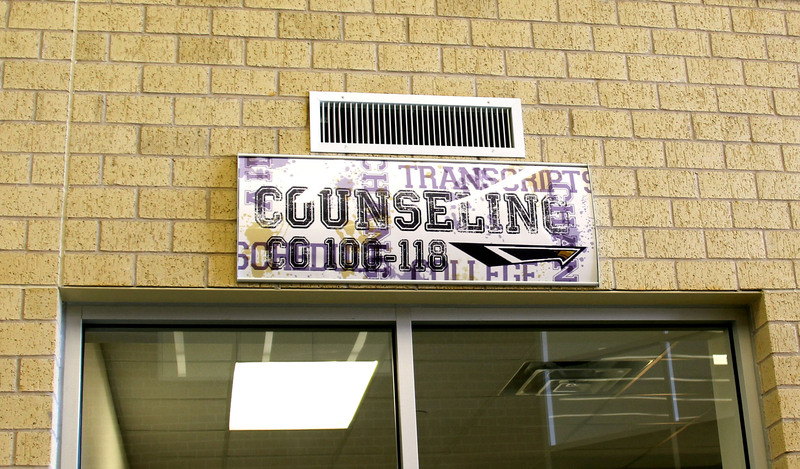 During the first month of school, counselors are swamped with schedule change requests. “We try to keep the integrity of the master schedule from the spring,” Scanlon explained. Counselors try not to change elective course because the students pick the classes they that want. “I know it’s really hard for us, for students to hear that ‘no we will not change you schedule,’” Scanlon commented. Most students are heartbroken and angry that they can’t get their schedule changed. “We hire teachers based on what classes the students pick in the spring,” Scanlon mentioned. Over the summer, Timber Creek hired 43 new teachers to fill the students schedule requests from the spring. As the school continues to grow, the challenge of putting together a puzzle with even more pieces will grow as well.